The selfie has become the norm in today’s plastic surgery business. According to Dr. Adam Tattelbaum, a Maryland Plastic surgeon with three locations in Washington DC, it is very common for patients to break out their phone and show selfies of areas they would like improved during a plastic surgery consultation. “Ten years ago patients brought in photos of models that they would like to look like, today many of my patients are pulling out their phones and showing photos of areas of their body they would like improved, or selfies of celebrities or models they would like to look like,” he says. Dr. Tattelbaum also reports that selfies have helped with online consultations, and that many patients who live far away and plan on flying in for surgery send them to him before coming in for an appointment. Dr. Tattelbaum believes that this is causing an increase in cosmetic surgery procedures nationwide, a trend that has also been reported by the American Academy of Facial Plastic and Reconstructive Surgery. “We are now all in the publishing business, social media has caused many people to want surgery because they don’t like how they look in their social media photos,” he says. Dr. Tattelbaum also reports that many times a patient will come in and say they hate the way they look in photos and want to correct it with cosmetic surgery. In such cases, breast augmentations and mommy makeovers are commonly requested procedures. 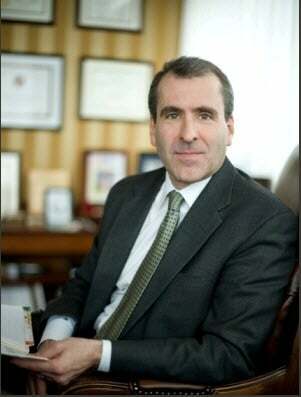 Dr. Tattelbaum is a graduate of the University of Pennsylvania and attended medical school at Columbia College of Physicians and Surgeons in New York City. He was Chief Resident at New York’s Mount Sinai Medical Center and completed his plastic surgery training at Georgetown University and Harvard University. Dr. Tattelbaum is a double board-certified plastic surgeon, with ties to the American Board of Plastic Surgery as well as the American Board of Surgery.